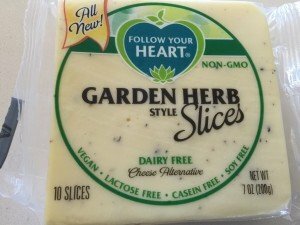 We are huge fans of Follow Your Heart Vegenaise (especially in Chipotle, which not only makes any sandwich or veg burger taste incredible, but is also a delicious dipping sauce for just about anything) as well as its salad dressings (the Ranch is amazing), but we haven’t yet tried many of its cheeses. Today we sampled the Garden Herb Slices. 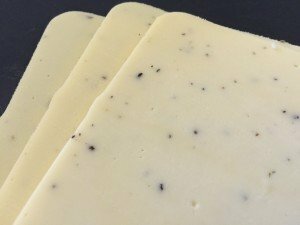 These slices have a really nice strong herb flavor, which is wonderful; they also, like many sliced cheeses, have a slightly rubbery texture. 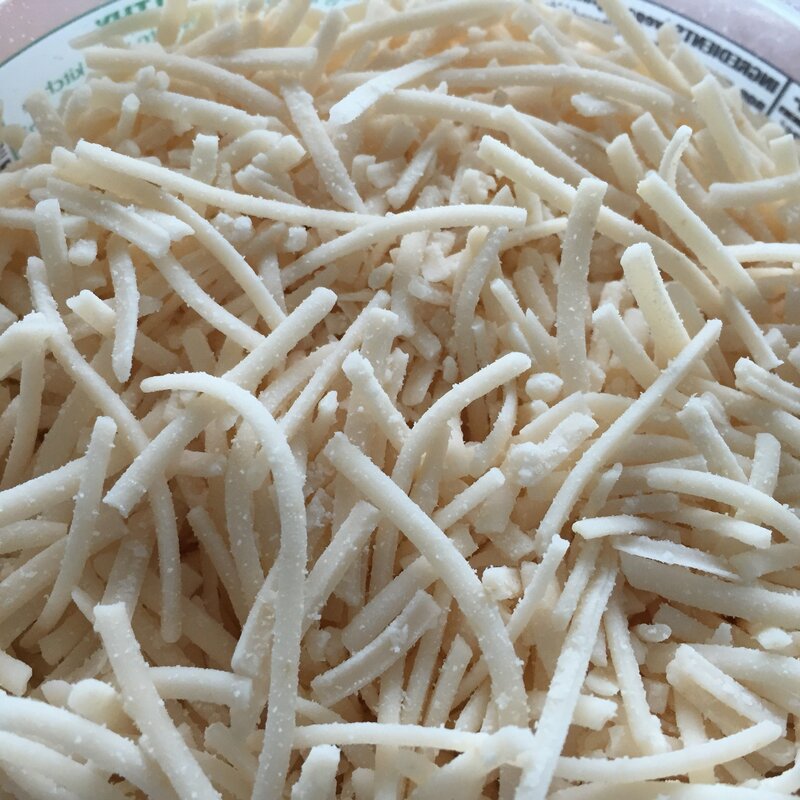 However, they are great when melted or served on a veggie burger; when warmed, the texture becomes smooth and the flavors pop. On another note: dessert. 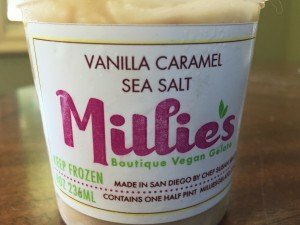 When we were unable to find Miyoko’s at our local health-food store, we consoled ourselves by buying Millie’s boutique vegan gelato in Vanilla Caramel Sea Salt. The flavors include Vanilla Caramel Sea Salt, Chocolate Caramel Sea Salt, Lemon Raspberry Cheesecake, and Blood Orange Dreamsicle, among others. 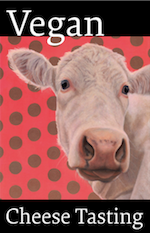 I look forward to tasting a few more flavors, as this is one of the best vegan treats I’ve ever had — rich and flavorful, organic, made in small batches that are hand-packaged, and overall just about perfect. 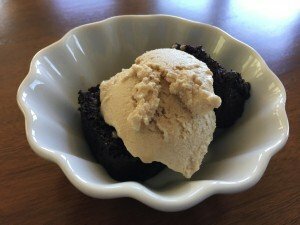 So far I’ve enjoyed the Vanilla Caramel Sea Salt both straight out of the container, as well as on top of warmed vegan chocolate cake … delectable both ways, and probably any other way you have it as well. 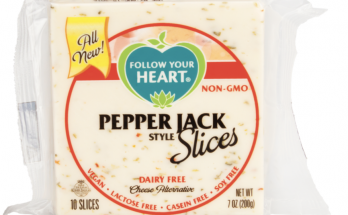 I really like the Follow Your Heart brand, to the point where I can snack on the slices by themselves. I haven’t tried the Garden Herb flavor. My only issue is that as far as nutrients, it doesn’t really have any. I think that’s why I like the tree nut cheeses better. You get more out of it for the calories.